We invite you to visit our booth №2238 for a showcase of our complete scope of services and advantages. IP-Coster Network is open to discuss and provide full information on the prospects of cooperation between our companies. Our representative Ms. Limor Helfgott will be there to assist you with any queries you may be interested in. Please stop by our booth to learn more about the IP-Coster and how it can contribute to your IP activity. 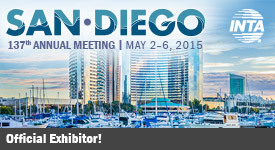 We look forward to seeing you in San Diego!